Undoubtedly, one of the principal downsides of ageing is the fact that our skin gradually loses its elasticity and healthy appearance. Whilst some people’s skin will demonstrate signs of ageing faster than others, we will all eventually experience sagging skin, wrinkles and unsightly lines. Given the fact that our skin is constantly on show, embarrassment about its appearance can have a hugely negative effect on an individual’s quality of life and can lead to a drastic decline in self-confidence. In severe cases this can lead to depression and increasingly antisocial tendencies. It really is no wonder that we are obsessed with how to look younger! Despite the fact that they will generally have the facilities to treat problems such as skin lesions and unsightly moles, GPs are not allowed to operate on patients for purely cosmetic reasons. As such, even if you had a large mole under your nose, for example, as long as it was benign and you weren’t in danger of cutting yourself whilst shaving because of it, your GP would be able to do little more than recommend that you have it taken care of privately. Similarly, if you wanted to get rid of acne, this is also something you would need to have taken care of privately in order to see the best results. 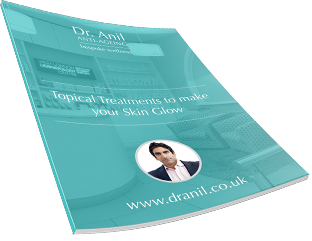 At Dr. Anil Anti-ageing, not only are we able to treat patients seeking to get rid of acne, eczema and psoriasis, we also have a skin tag/wart removal clinic (as well as a mole detection/screening clinic), allowing us to deal with any unsightly and unwanted skin issues you may have quickly and easily. Although these conditions don’t come with any serious health risks, we’re well aware of the adverse effect they can have on an individual’s life and will do whatever we can to ensure your skin is something you can feel comfortable in once more. Healthy skin shouldn’t be something only a small percentage of us enjoy! Thanks to recent health campaigns and increasing coverage in the media, more and more people are becoming aware of the signs and dangers of skin cancer. However, there is still a lot of misleading information out there about what does and doesn’t constitute a dangerous mole. When it comes to identifying the difference between benign and cancerous moles, there really is no substitute for the eye of an expert. If you have a mole (or moles) that you are worried about and want to get checked out properly, why not come to our mole detection/screening clinic? Caught early enough, conditions such as basal cell carcinoma and melanoma are curable, so don’t wait until it’s too late! 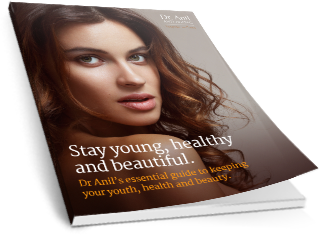 For more information about maintaining healthy skin and if you want to get rid of acne or other skin conditions once and for all, just visit our Dermatology section at www.dranil.co.uk , where you’ll also have a chance to order a free copy of my new guide, “Staying young and beautiful: An expert’s guide to controlling, combatting and delaying the ageing process”. Packed with information on everything from how to look younger to the benefits of screening tests, this guide is a must for all individuals who are passionate about staying young and healthy.